Maintaining a car requires your attention, commitment and cash. There will always be tires to rotate, timing belts to change and filters to replace. 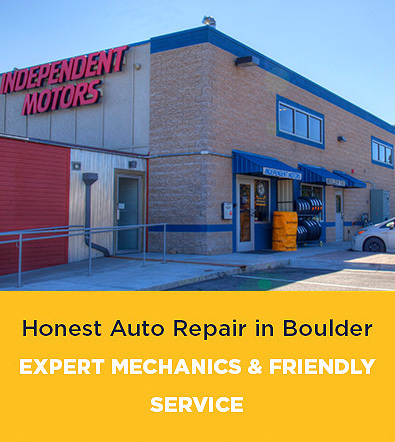 After running an auto repair shop in Boulder Colorado for decades we have seen many things change. But putting off or trying to skip that maintenance will cost you plenty more in the end. While you should always follow the instructions in your ownership manual, the following infographic gives you a general idea of when to perform which task, and provides tips for mountain vehicle maintenance. For those of us who live in mountain towns like Boulder, higher elevations and snowfall amounts mean drivers must perform a little extra scheduled maintenance. There’s a definite correlation between high altitude driving and engine efficiency. Whatever system you have of tracking your vehicle maintenance schedule — a logbook, spreadsheet or app — it needs to be followed and updated. In fact, an up-to-date maintenance log, showing the car’s maintenance history, can be a valuable selling point when it comes time to sell your vehicle. When you use an app such as Fuelly’s aCar to track maintenance schedules, fuel economy and general expenses for your vehicle, you can better understand how your vehicle is performing and discover the best way to drive it more fuel-efficiently.